It sounds like collectors are finally receiving their classic black dress silkstones after ordering them back in February. I thought it was time to bring this lady out and showcase her in a setting that touches on what is going on currently in the fashion world…Paris Fashion Week. Hope you enjoy! Gloves: Have absolutely noooooo idea. I don’t think they are Mattel. They may have come with a DEA fashion. They fit this new articulated body very snuggly though. Set: Ornate wall made by me, gold chairs obtained through special order, flooring is checkerboard contact paper. This entry was posted on March 3, 2016 by raberry65. 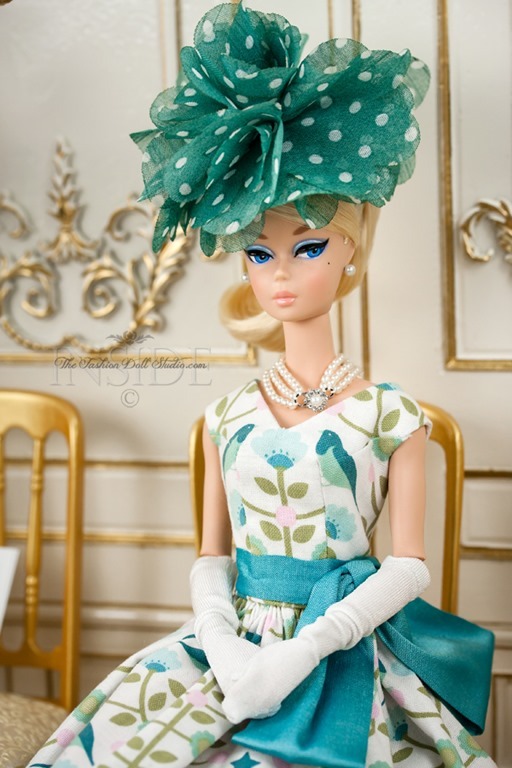 It was filed under Barbie, Silkstone and was tagged with 1/6 fashion doll, 1/6 fashion doll clothing, Articulated Silkstone Barbie, Bellissima Couture, Bellissima Couture Fashions, Canon 40D, Canon macro lens 60mm f/2.8, Classic Black Dress Barbie, Doll Photography, Fashion doll photography, Inside the fashion doll studio, ITFDS, OOAK doll fashions, Rebecca Berry Photography, Robert Best, Silkstone Barbie 2016. Oh my HEAVENS!! This is truly magical. Absolutely fabulous!!! 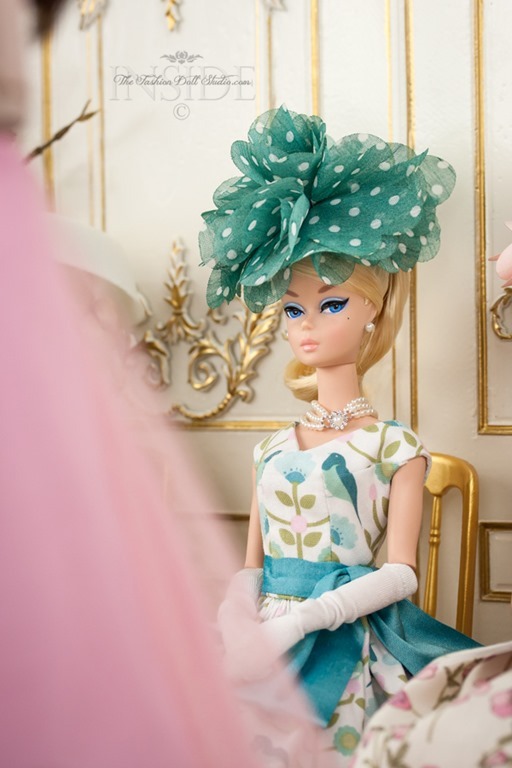 Gorgeous setting, styling and doll! Bravissima!!! Beautiful job Rebecca! I can’t wait to get my gal ! You have captured our vision of heaven, she looks beautiful, and of course your chairs. I found these as well but a set of them is really breathtaking!!!! You have made my day! Rebecca, these photos are fabulous! 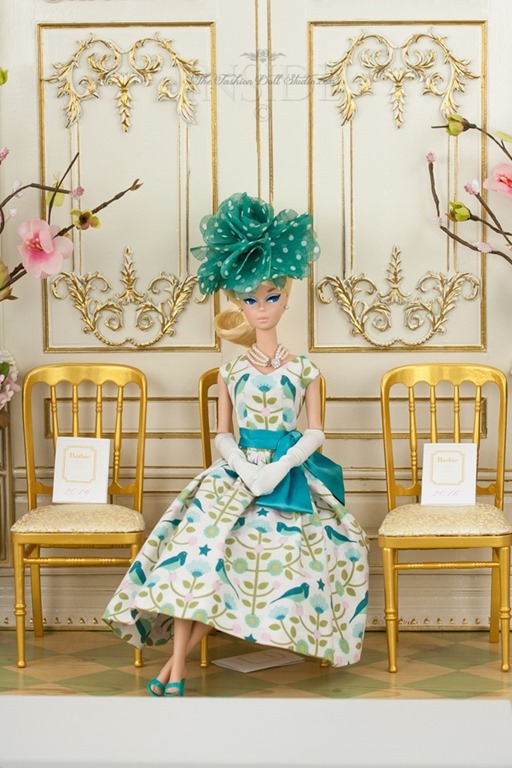 Gorgeous setting..can you tell if your dolls legs can bend to 90 degree angle…i finally got the arms to bend and just a slight bend to her knees enoigh to allow her to pose on a chair …. To afraid to force in case i snap her leg off. Any hints would be appreciared..thanks so much. 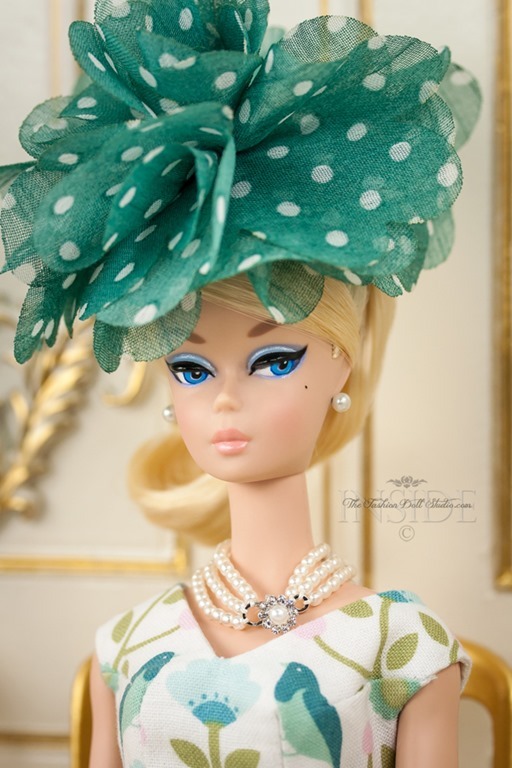 Love that polka dot hat! Wonder how it’s attached? Lovely. Great job on the diorama. My kind of detail. 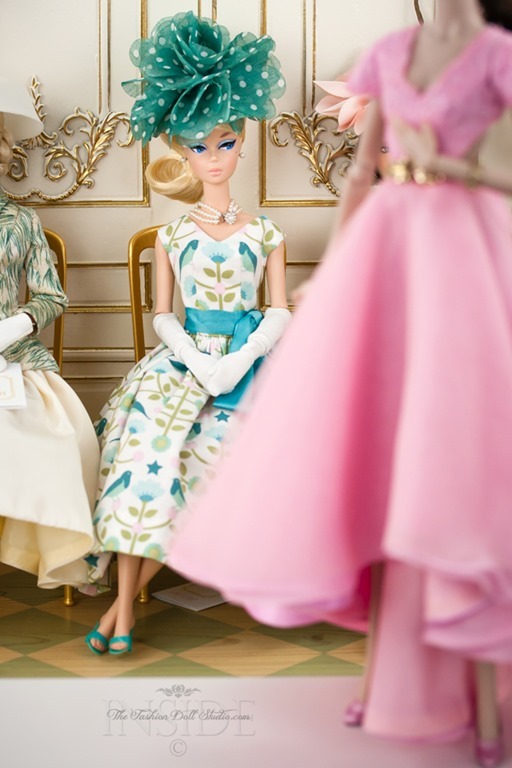 Hi Rebecca, Your Paris week dress is beautiful! May I ask the name of the fabric. It looks like a vintage inspired print. I love your blogs, but the Paris Fashion week was amazing. 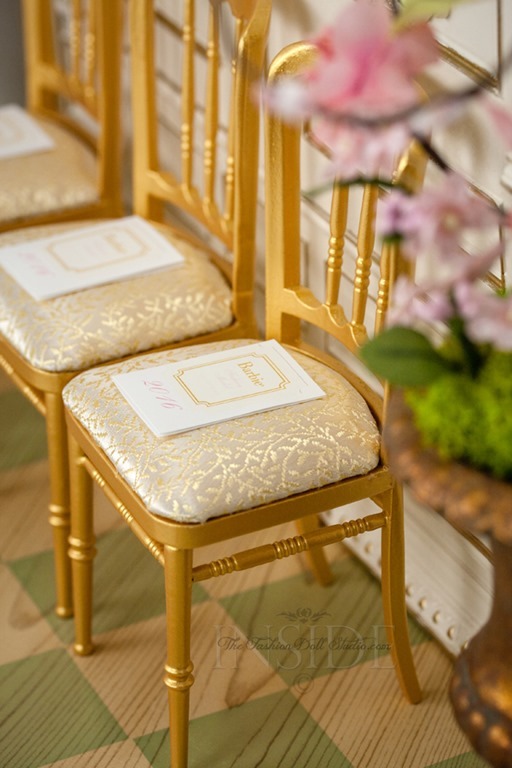 Love the dress, and the gold chairs are perfection. Thank you …..
Love this! And feeling contact paper envy! Where oh where did you find this great stuff???? ?